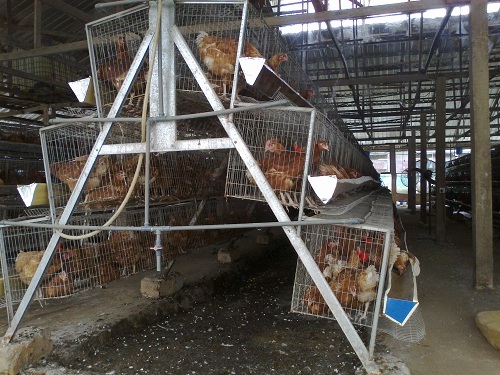 EYONK FARMS offers chicken for meat, eggs, hatching and sales of day old, to Individual retailers, companies that buy day old chicks in bulk, hotels, fast foods, eateries etc in the Eastern, Northern, Southern and Western part of Nigeria, and all the well established markets, and also in local market. The business has a strong market position and a coherent strategy. It has established clear steps to achieve its objective of Becoming Nigeria's major source of poultry meat, eggs, and day old chicks in the next five years. EYONK FARMS has set targets that they are committed about achieving. Next year the business will achieve sales of ₦9000000. Sales will grow by 30 percent each year to reach the figure of ₦25704900 at the end of the period. By the final year of this plan the business will be achieving a net profit of ₦10672930. This will represent a good return and provide sufficient retained earnings for future development plans. 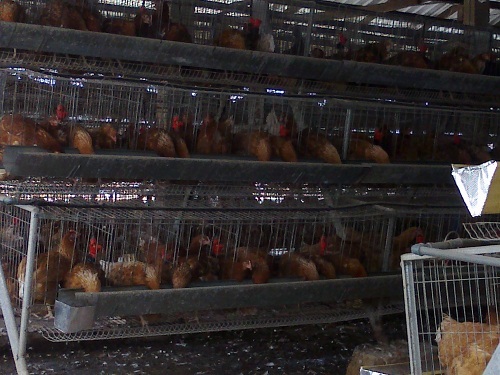 EYONK FARMS is well placed to offer chicken for meat, eggs, hatching and sales of day old, in the Eastern, Northern, Southern and Western part of Nigeria, and all the well established markets, and also in local market. The management team have the experience and competencies to deliver the targets they have set themselves. Eyonk Enterprise, Owner, has knowledge and experience of Poultry farming, including management of day old chicks, disease management, poultry structure design and and sales of agricultural materials..
Songhai Farms, Junior Partner, brings skills in different areas of farming including but not limited to handling of day old chicks, poultry disease management, and how to market the chickens. The also bring different marketing strategies and and also equip the staff with the skills of how to envelope the market..
EYONK FARMS intends to target Individual retailers, companies that buy day old chicks in bulk, hotels, fast foods, eateries etc with its chicken for meat, eggs, hatching and sales of day old, . This market represents a good opportunity for the business to capitalise on its low price of products, we sell at low cost because we produce our feed in the farm, thereby maximizing profit. We are also known for good quality products, and quick delivery to the required customers. advantage. This will provide a strong market position from which to develop the business. AB and co is the main competitor. It has some strengths, but its critical weakness is its high prices, and low quality products. unreliable in business and inability to meet up to the customers demands.. This will restrict its capacity to compete. EYONK FARMS has the objective of Becoming Nigeria's major source of poultry meat, eggs, and day old chicks over the next five years. To achieve this objective the management team has identified key steps that it will implement over the period. In the first year of the plan EYONK FARMS will achieve sales of ₦9000000, a gross profit of ₦6300000 and a net profit of ₦1300000. In 2019, midway through the plan, the business will achieve sales of ₦15210000, a gross profit of ₦10647000 and a net profit of ₦4597000. By the end of the plan the business will achieve sales of ₦25704900, a gross profit of ₦17993430 and a net profit of ₦10672930. The figures demonstrate a steady growth in sales and gross profit during the period of the plan.The business becomes profitable in year one of the plan, which is earlier than many similar rivals and demonstrates the strength of the business model. This will provide a solid financial foundation to develop its plans. The average sales growth of 30 percent across the period is healthy and demonstrates the potential of the business. The predicted sales and growth are realistic given the strengths of the business and the attractiveness of the market. EYONK FARMS has based the cash flow on the assumption that they will be offering customers 0 days credit. This is in line with industry norms and should be competitive within the market. Suppliers are assumed to offer 30 days credit. This is also realistic given the current practice within the industry. The business achieves a positive cash carried forward position in year one. By the end of the five years the business has a positive cash position of ₦27129852. This shows the robustness of the business and its ability to generate cash to support future plans. EYONK FARMS is well positioned to target Individual retailers, companies that buy day old chicks in bulk, hotels, fast foods, eateries etc. The management team have provided a clear objective of Becoming Nigeria's major source of poultry meat, eggs, and day old chicks in the five year period. The financial targets have been shown to be realistic given the strengths of the business and its strategic position. The management team is committed to achieve the strategic goals. They have a clear plan of strategic stages to realise the potential of the business and generate healthy returns for all stakeholders. 1. ₦9000000 sales in the first year. This level of sales is realistic given previous experience and the turnover of similar firms within the sector. 2. 30 percent annual growth in sales. This level of sales growth is achievable given the attractiveness of the market and the coherent strategic plans of the management team. 3. 30 percent cost of sales. This cost of sales percentage is in line with the sector average. The cost of sales percentage is expected to remain stable during the period of the plan. 4. ₦5000000 expenses in the first year. This level of overhead expense is in line with similar size businesses within the sector. 5. 10 percent annual growth in expenses. This expense growth takes into account changes in overhead as the firm develops. 10. ₦50000 equity cash injection. This equity is confirmed to be available and ready to be invested in the business.